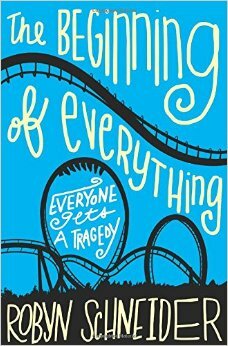 I finished reading The Beginning of Everything by Robyn Schneider, and I really enjoyed it. The story follows Ezra Faulkner and his relationship with himself. Notice I did not say with a girl. Yes, yes. There is a romantic relationship in the story between Ezra and and a girl named Cassidy, and at first glance, you would say that the story follows Ezra's and Cassidy's relationship. But in the end, it is really about Ezra coming to know who he is and what he wants out of life. Really, it is a story about authenticity and living an authentic life. I found this to be an easy, smooth reading experience. 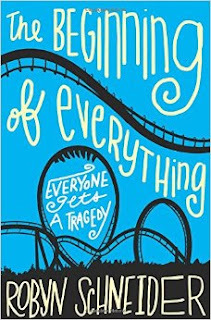 I loved the humor and how Schneider captures the various crowds of students at Ezra's high school. I enjoyed the humor, too. In some ways, though the story moved quickly and there was enough tension to keep you interested, this was a quiet read. I really enjoyed it and look forward to reading Schneider's next novel.